The term “physician compensation” could be among the top phrases in health care this year. Though it’s always been a hot topic, it got hotter when the Trump administration announced a proposal that would affect nearly 40 percent of Medicare payments. That plan would have replaced a fee scale that compensated doctors more for seeing sicker patients with a flat-fee model that reimburses them at the same or similar rates regardless of the condition being treated or complexity of the visit. In various spheres of health care, from private equity investors pricing out purchases of physician practices to specialists negotiating salaries or recruiters seeking to draw the best talent to their practices, compensation is often a big lever to pull. To better understand the compensation landscape, we scoured MGMA’s 2018 Physician Compensation and Production Report — based on 2017 data from 136,000 providers working in small and big practices across the country — for anomalies that might be instructive. Non-metro areas rule. Salaries are higher in big cities, so the thinking goes, than they are outside of them. That’s not always the case in health care. Take anesthesiologists as an example. In our data, the median income for a metro-area anesthesiologist was $444,846. In non-metro areas (defined as areas with populations of 50,000 or fewer), the median anesthesiologist income was $469,057. An extra $25,000 a year sounds pretty good — even more so if that anesthesiologist is residing where the cost of living is likely lower than it is in the nearby metro area. There’s a good reason for the bump: When trying to attract specialists, health care companies and organizations have to pay more to get the good ones. Of course, there are anomalies within the anomaly. This trend doesn’t hold true for every specialty — rural cardiologists make about 10 percent less than their urban colleagues — but we found it was true for the majority of them. Quality is still ignored. Value-based care and quality incentives are supposed to be the future of physician compensation. While that may eventually be the case, at least 80 percent of compensation plans in 2017 did not include quality incentives. Productivity remained the core metric when it came to pay. The inclusion of quality incentives in compensation plans depended on practice size: Independent and smaller practices were much less likely to provide any kind of quality incentives, while larger providers and hospitals were more likely to include them. Compensation flattens over time. In most industries, workers earn more as their careers progress. Physicians can throw that notion out the window. For primary care physicians, the upward trend holds true for the first few years. But under current compensation models, most max out sometime around year eight. Why? In their first years on the job, primary care physicians are building their base of patients. Their compensation grows with the size of their patient panels. But there are only so many patients a physician can see in a day or week or year, and sooner or later he or she will max out. At that point, compensation in primary care tends to level off. The compensation trajectory looks different for specialists, and tends to follow a bell curve. We looked at orthopedic surgeons, who start off in years one to two making an average of $543,000 per year. That number tops out at $750,000 in years 13 to 17, then drops back down to $530,000 after 23 or more years of practice. The gender gap. There’s a massive difference in physician compensation between men and women. But, as with many things in health care, this anomaly is more complicated than what you see on the surface. Looking at male and female doctors in years one to three who are working in the same specialty, the compensation difference can be quite large. Male orthopedic surgeons, for instance, make more than 40 percent more than their female counterparts. The salary gap between men and women in pediatrics, meanwhile, is just 2 percent. And, much like the technology field, the health care industry isn’t always good at keeping women working after they’ve taken maternity leave. Knowing that women might be offered less money to start and face greater challenges staying in the field while growing a family will, we hope, empower women to seek equitable compensation early in their careers. Achieving equitable pay with male counterparts at the outset of their careers seems to be an essential strategy for narrowing disparities later on. It’s possible, of course, that this gender gap will look completely different 20 years from now, if the trend holds that more women than men enroll in medical school. Productivity and RVUs. Medicare pays physicians for their work based on what it calls relative value units (RVUs). These are an attempt at valuing the productivity that has been assigned to more than 7,500 services that physicians provide. To calculate an RVU, Medicare determines how much work a physician puts into delivering the service, the expenses of the physician’s practice, and professional liability insurance. Medicare then calculates a fee by multiplying the RVU for a service by a dollar conversion factor. On average, physicians are typically paid $42 per RVU performed. A physician who performs 3,000 RVUs in a year should make about $126,000. If only it were that simple. Look at a physician who’s just embarking on her career. Perhaps she is working with a guarantee of $200,000 per year. But since she is just getting started, she might complete only 1,000 RVUs during the year. That means she is getting paid $200 per RVU. Fast forward to a more productive time in her career. She is now completing 10,000 RVUs a year. As a more productive and more experienced clinician, she should be earning more compensation per RVU, right? But crunch the numbers and it turns out she isn’t even earning the average. The most productive physicians are actually making closer to $37 per RVU. It’s a strange mathematical anomaly, but one that will hold true as long as current compensation models remain in use. 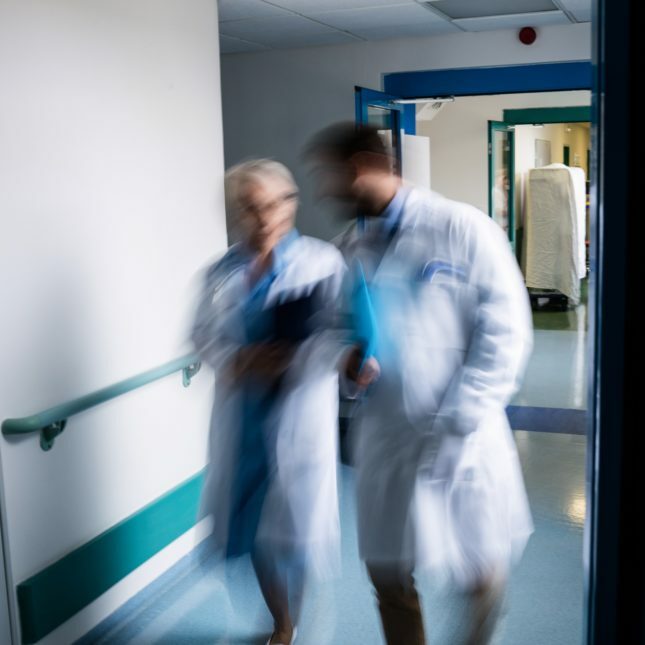 These anomalies aren’t just odd data points that make you say, “Huh.” They are important for anyone who wants to better understand physician compensation, which is far more than just a number. Salary figures can do everything from help push medical students to the right school — why pay more in tuition than you’ll make once you graduate? — to providing material proof that some practices are more successful than others. They can start and steer a career, make the difference between a practice that thrives and one that struggles, and provide that extra layer of certainty needed before making a big decision. These five anomalies might not make or break physicians’ lives in medicine. But as with anything else in such a complex field, it’s always better to have a little more information at your disposal. Halee Fischer-Wright, M.D., is the president and CEO of MGMA (formerly the Medical Group Management Association). Todd Evenson is the company’s chief operating officer.